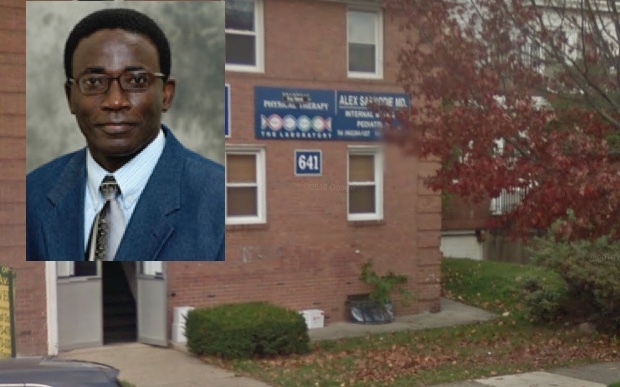 NEWARK – A Passaic County internist has agreed to a temporary suspension of his medical license in connection with allegations made by the Attorney General that he subjected female staff and patients to unwanted groping and sexual comments. According to the Complaint filed with the BME, from May 2013 to March 2016, Sarkodie engaged in an escalating pattern of sexual misconduct that included removing a 29-year-old patient’s breast from her clothing and licking it during an physical examination, inappropriately touching a medical assistant’s breast under her bra during a physical examination, slapping another female employee on the buttocks and otherwise inappropriately touching her, and making lewd and inappropriate sexual comments to two female patients and several staff members. Under the terms of an Interim Consent Order, Sarkodie is barred from engaging in the practice of medicine and is to surrender his original license and current biennial registration to the State until further order of the BME. He is scheduled to appear before the BME on July 13 to answer the charges against him. This investigation was conducted by the Enforcement Bureau of the Division of Consumer Affairs. Bindi Merchant from the Division of Law is representing the State in this matter.